Egyptian faience of the Ptolemaic and Roman periods has not enjoyed the same degree of research as the earlier material. 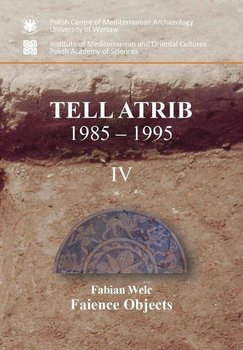 This volume, which presents an analysis of faience object from Polish-Egyptian excavations at Tell Atrib, ancient Athribis, will help to remedy this problem.Excavations in Tell Atrib revealed traces of local production of faience objects. They include vessels, figurines, amulets and ushebti recovered from three major strata dated to different phases of the Ptolemaic period. Their provenance from securely dated contexts allowed for tracing typological changes occurring over time, which is of particular importance for studying the history of local faience production.These observations give grounds for analyzing the sources of influence and inspiration of local artisans. Distribution of faience finds at the site gives certain clues as to the role of these objects in everyday and religious life of the inhabitants of the ancient city.